Which gulet of Veladare is suitable for your sailing holidays in Turkey this summer ? Best Places to Sail in Croatia – 7 Spots Not to Miss! Another summer is coming to an end, this was our 24th season in yacht charters and proudly we had again many happy feedbacks from all our guests who sailed with us in Turkey, Greece and Croatia. Did you know that there are 454 lovely beaches awarded with the prestigious Blue Flag in Turkey, thanks to their quality and safety. Pristine coastline, crystal clear waters, coves, sandy beaches, amazing archeological sites and all bathed in shining sunshine. Would you like to visit a country with some of the best beaches in the world and housing two of the ancients world’s Seven Wonders ? We also have valuable tips and recommendations for you, please find below list of NEW and most favoured gulets in Vela Dare fleet and the most loved coastal routes. Our most preferred route without a doubt was the Lycian coast this summer, the Eastern route from Gocek with a magical stop at a beautiful small Greek island of Megisti en-route, secondly the Karian route including Hisaronu Gulf en route to Bodrum, apart from these two popular ones, as some of you had already sailed the Turkish coast offers other exciting week long itineraries. 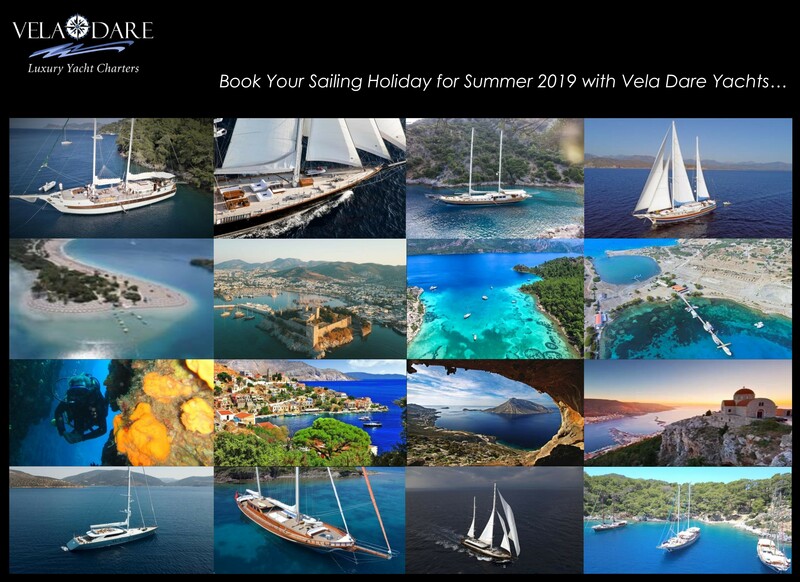 New and Popular Gulets of Vela Dare for 2017 – 2018 are listed below in alphabetical order, please click on the names to see photos and further specifications of the yachts. Alessandro 40 meters , 5 cabins, 10 guests, mega yacht operating again in Turkey again in 2018, book early ..
Amazon Solo, 28 meters, 6 cabins , 12 guests, traditional luxury, spacious deck space – one of the best values for money in Turkey !! Please forward your inquiries and let us plan for you another sailing holidays in Turkey, Greece and Croatia.